What is Real Estate Farming? Real Estate Farming is a planned prospecting campaign (the keyword is PLANNED) where you heavily service a geographic area or a social group in an effort to get listings, buyers, and referrals. Farming in real estate is a long-term prospecting goal. It will take about six months (to see first results) to a year in order to start to produce results. As you break into a farming zone, it will become a strong base for your business. As time goes on, it will get easier. Real estate farming, like agricultural farming, has strict rules you have to follow. Like traditional farming, you must access the land, sow the seeds, tend to your crops and only after hard work has been put in, can you enjoy the harvest of your labor. Consistency and personal contact are the biggest keys to being a successful farmer. Many real estate brokers and trainers would agree that inconsistent efforts of dropping poorly designed flyers do not contribute to an artful form of real estate prospecting. Your results may depend heavily on the originality and quality of your real estate farming ideas, techniques and methods. You have to make an effort to put your name in front of people – ideally close to 52 times a year – to see real results. Yes, that’s right – 52 times a year (not 15, not 10, definitely not 3 or 2)! It means that every week you need to contact your farm: either through printed materials, social media, email, blogging or meeting people face to face. We’ll give you a proven system developed over several decades of cooperation between top-selling real estate agents, brokers, trainers and marketing professionals that is guaranteed to yield results … if you follow it! Real estate farming is a statistics game. Even if you have taken all the real estate marketing courses and memorized all sales tricks and scripts, there is no chance of getting the constant stream of leads without you going out physically or virtually and meeting new people. This real estate farming system program gives Realtors a system to get at least 50 or more new personal contacts every month plus different ways of staying in touch with the old contacts. Statistically, out of every 100 people that you have personally contacted and talked with about their real estate plans (considering that you have kept in touch with them), 3-5 may contact you regarding selling their property within 18 months. Again, as with agricultural farming, your real estate farming will only start bringing results in 6-12 months. Remember that! By selecting an area of this size, will get you a higher percentage of listings within your farm. Small farms yield big results as you put time and money to plant the seeds and get to know people. As your farm starts bringing results, you can expand to new areas. You can go up to 1000 homes, but don’t go bigger than that. It is a farm, not an empire, and it is hard to provide personal service when you are ‘too big’ to care. Select a Comfortable Price Range Area (an area you would like to live in or already live). Helpful residents – get information from them in a casual conversation. Then it is decision time! If any particular real estate agent has listings all over the area, you see his/her marketing materials (real estate farming postcards, notepads, magnets, etc.) on the steps of the homes, or every resident mentions his name in a conversation, it is clear that this real estate agent ‘owns the farm’ and has been there for a while. It is futile for another agent to go in and try to win the farm over—you may spend a LOT of money and time and get zero results. No matter how attractive this particular areal looks to you, turn around and continue your search. Pick a farm that has close to 7% turnaround and has a great location, amenities, and proximity to schools. Though many professionals will tell you to stay away from new developments, it may be a good area to start (if the first homes were sold 1-2 years ago and no one farms there yet). People still have to move even if they just bought a home due to a change in jobs, family circumstances, etc. Organize Your Real Estate Farm Data. Order a Farm Package from the Title Representative or order addresses in a particular neighborhood/zip code from a reputable company. If you are also adding a social farm it may be a good idea to combine all your data in one contact management system and keep it current. Don’t forget to back-up your data! No matter how reliable your contact management system provider is, it is a great idea to have at least 3 current copies of your data: in addition to one on your laptop, keep one copy “in the cloud” (such as Dropbox.com) so you can access it from anywhere with an internet connection, and one on a removable storage device such as jump drive or portable hard-drive that you keep in a different location in case of fire, earthquake or theft. Use first-class mail stamps or hand-deliver. 52 handouts, with at least 25% of them personally delivered (preferred method), with the other 75% mailed or emailed if you are out of time. To personally deliver the materials, it means either you walk your farm every week handing out either your customized real estate newsletter or one of your real estate farming postcard, your flyer, calendar, magnets, etc., or you hire somebody to hand-deliver these materials. You still have to do it personally at least 1-2 times a month. Some ‘old-school’ agents that still walk their 10-20-year-old farms and know almost everyone on the block, will tell you to never mail anything and always hand-deliver, rain or shine. There is a certain wisdom in that statement and it will obviously save you some money with today’s sky-rocketing postage costs. It is also easy for your materials to get lost in the avalanche of incoming junk mail. But be realistic: to hand-deliver 52 handouts to 500 homes you would have to walk approximately 1 hour 3 days a week, depending on the size of the lots and length of driveways in your area. While it may be a great exercise routine and lots of fresh air, many people are too busy. Be creative: combine hand-delivering and walking, hire some responsible teenagers or start an exercise club in the neighborhood. You will not only gain enthusiastic supporters on the farm but also become that ‘friend in real estate’ everyone needs. Real estate newsletters have been a trusted ‘tool of the trade’ that successful real estate agents have been implementing for years to communicate with the farm and provide potential clients with valuable information. Your real estate newsletter has to bring the ‘Neighborhood’s Good News’, be informative, easy to navigate and readable. There are just a handful of people who are ready to dive into statistics, graphs, complicated market analysis and 50+ lines of sales in the neighborhood after the day at the office. Most of the people just want something interesting, light and useful in their everyday life. So, try to combine real estate information with fun facts, substitute boring tables with “just sold” listings; include lots of pictures and eye-catching graphics. Strive to make your newsletter a neighborhood herald – involve local professionals and handymen, offering them free space to advertise. High-school students who babysit and moms with daycare services may be thrilled for a chance at free publicity. Neighborhood dog-walkers may thank you for a boost in business and remember you when the time comes to move. Your real estate newsletter content should be genuinely helpful to homeowners. Addressing real problems homeowners have, from plumbing, air conditioning, and heating to pest infestation in homes or gardens and leaking roofs will increase your validity as a caring neighborhood real estate expert. These real estate newsletter ideas and content will create a very positive image of you as a caring neighborhood expert separating you from other real estate agents. Though it is tempting to talk about your accomplishments and boast of your hard-earned real estate certifications, your farm is not interested in that and it may actually result in an adverse effect. You need to become that ‘friend in real estate’ to your farm – the one who is always there when someone needs a quick answer to a real estate question and whose name everyone knows from weekly handouts. Name recognition and trust is the goal that you are aiming for. Your customized real estate newsletters, farming postcards, and Just Listed / Just Sold postcards and flyers but also with your website that should serve as an extension of your marketing materials as well as the source of really helpful information for the residents of your farm.
. . . Never go below this! Organizing a community garage sale may be one of the best and the most effective real estate farming ideas for getting to know everyone on your farm and help the community to clean their garages in the spring. Do a poll on your website on what would be the best date. Start advertising early (2-3 months) before the date of a garage sale. Let people register on your website or through email. Put an ad in the local paper or PennySaver publication a week prior to the event. On the day of the event, put directional signs for the garage sale (with your name) and personally deliver balloons to all participating homes approximately 30 minutes prior to an advertised hour. Then drive around the neighborhood, deliver fresh coffee and pastries from the neighborhood bakery and chat with all the participants. Later in the day, deliver ice cream for the kids. It is your chance to get to know as many people as possible and be friendly. Arrange ahead of time for a Salvation Army or Goodwill truck to come to the neighborhood after the garage sale is over and pick up all unsold items—your farm will appreciate your efforts! It seems like a lot of work but it is not so bad with proper planning and a few helpers. You will see the effort is well worth it. By providing a valuable service to your farm, you will become a member of the community. Successful real estate agents sponsor at least one garage sale a year. Give something to the person. Monday – Friday 5:30 p.m. – 8:00 p.m.
Saturday 11:00 a.m. to 8:00 p.m..
Be professional!!! Know all properties currently listed in your real estate farm. 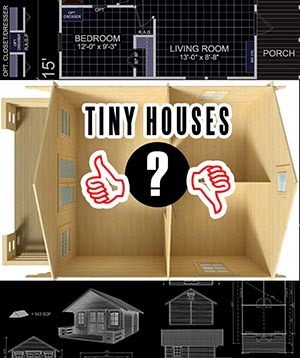 Know the floor plans and square footage of the homes on your farm. Know the sales prices of homes which have recently sold in your farm. Don’t stand too close to the door. Compliment people on their homes, décor, and gardening whenever possible. Start servicing people before they list with you. Do not hand-out comps to everybody on the farm, but always provide comps if people call you and request them. You may advertise ‘Just Listed’ and ‘Just Sold’ listings of other agents in your office. Be careful how you word this. You can get away with mailing only and no door-knocking UNTIL someone starts door-knocking against you on your farm. Farm absentee owners and social farm by mail. Put everyone you meet casually on your social mailing list. Mail monthly real estate newsletter. Just Listed & Just Sold postcards. Mailable giveaways (mini directories, maps, magnets). A support system can be a helpful boost. Team up with another agent in the office to create, compare and compete in your real estate farming efforts (or start a farming group for even more fun, feedback, and tips from others). You can save money by ordering items in larger quantities for your respective farms. Don’t take shortcuts or the easy way out. Focus on goals for how hard you need to work, rather than the results you are trying to achieve. If you meet your work goals, the results will be attained. Being nervous is normal. You will probably make mistakes. Sometimes you will run into people who say they will never move. Friendly people are friendly to everyone. You could door-knock 100 homes in 2-3 hours. You would probably catch half of them home, which means you would make 50 indirect contacts with materials you leave at the door and 50 personal contacts. That’s more contacts than some agents make in a year! Mail real estate farming postcards at least twice monthly. Make sure the mail-outs go out on the exact day of the month every month. Try to get in on the inside track: Board meeting minutes, Neighborhood Watch, Referral Guide or Business Directory. Call Quarterly into your Farm (people you know, met at the garage sale, etc). The Post Office started offering Every Door Direct Mail (EDDM) program which helps you target specific geographical area with reduced mailing costs ($0.165 flat rate per mailed piece that qualifies for EDDM). You are basically sharing part of the workload with postal workers in exchange for reduced fees. By delivering bundles of 50 pieces with accompanying paperwork to the local post office where it goes directly to the mail carrier for delivery, you help the postal service cut their transportation and labor costs. The additional benefit of using EDDM is that it delivers your materials to every door on that route so you don’t have to purchase or maintain mailing lists or label your newsletters or postcards. There are some disadvantages though. Remember that pile of flyers that you just threw away in your recycling bin? This can be your newsletter or postcard lost in the avalanche of junk mail hitting residents’ mailboxes. To avoid this try to use some of the real estate farming postcards ideas described here. Remind them to turn off all utilities and give phone numbers. Give them a basket of goodies or a nice closing gift. Put them on your mailing list. Send monthly newsletters and/or real estate farming postcards. Give candy, cider, etc. or at Christmas. Give tickets to a sporting event. Stop by and welcome them to the neighborhood. Help with solving property related problems. Give them your real estate business card and invite them to call if they have any questions. Give a “welcoming pack (i.e. community cookbook, referral guide which can be a guide on your website that you personally compiled, local map, etc.). The internet is playing a larger part in our lives and the business environment, it is becoming increasingly difficult to be successful in real estate while ignoring the realities of rapidly progressing technology. On your printed materials and handouts, make sure to provide an option to receive your real estate newsletters via email and a QR code to see full versions of informational articles online on your website and read more about related topics. As everyone is concerned with green alternatives and de-cluttering their homes, it may be a time and money-saving solution for you as well. Listen to your clients and study your farm’s demographics. If your farm’s average age is 60+, an old-fashioned newsletter with larger font may be what they would prefer and what would get you noticed. Younger crowds would respond better to a short e-newsletter that they can view on their iPad or iPhone while in line at Starbucks. Really strive to take advantage of all the social media options out there: Create a professional real estate Facebook page, write a blog where you can post interesting information or your opinions, showcase your listings on Pinterest, post new listings to Twitter. Before you know it, there will be a cyber community of followers that can bring you referrals and sales. Unless you faithfully nurture your garden, you can’t harvest the crop. Do your research, pick a farm area, get your tools ready and get to work! The longer you wait, the greater the possibility that other agents will beat you to the finishing line. Spring is a great time to start ‘sowing’ but as any farmer would tell you, there is work to do all year round. So, to reap the harvest in the near future you have to start now!